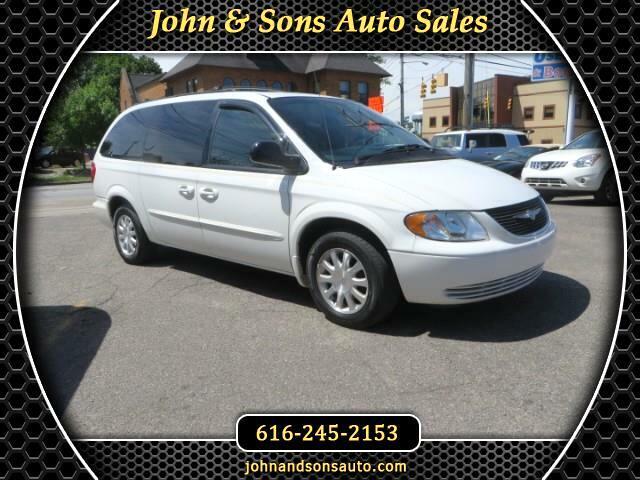 Mileage: This 2003 Chrysler Town & Country has only 186,167 miles on it. Condition: Mechanically there are no known issues. The vehicle starts great and runs nicely. Perfect idle and acceleration, transmission shifts well. The vehicle does pull to the left and may need an alignment. The interior is good overall. Minimal wear. No holes or tears observed. The roof liner is sagging a lot. The plastic dash board is cracked and missing a panel. The exterior is good overall. Minimal rust observed near wheel wells. The front hood has spots. The rear bumper is scuffed up. Tires are good until winter.